Setting up baby’s room isn’t cheap, and chances are, you’re probably a little hesitant to spend more money on a glider or rocker. But hang on to your seat, mama — there are good reasons to consider picking up a chair. 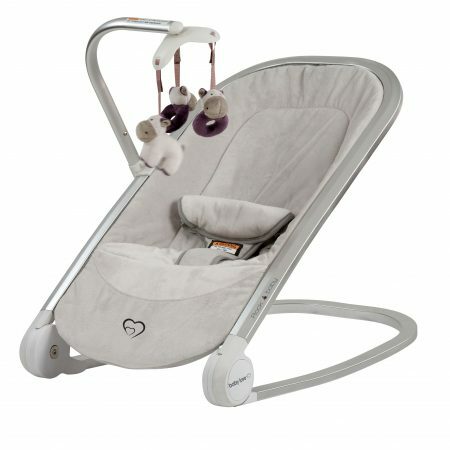 Not only does it give you a comfy place to feed or rock baby to sleep, its motion may help cut short a 3 a.m. cry fest. The big difference between the two types of chairs is the way they move. Rockers rock in an arc, while gliders move forward and back (some swivel too). Gliders tend to offer a smoother ride; plus, they’re designed not to trap toes underneath, like a rocker can. A matching ottoman is often available, though it usually costs extra. 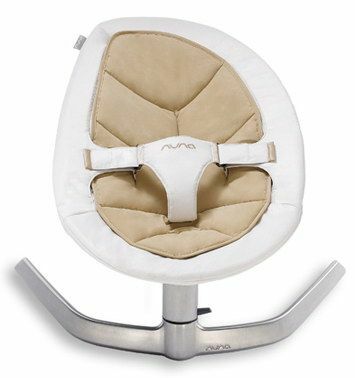 Your chair will see its fair share of spit-up and spills, so make sure the upholstery is up to the task. Look for a woven fabric that won’t fray and that’s easy to clean (bonus points if it’s machine-washable). And if it works with your nursery design, stick to dark colors that will camouflage stains more easily. 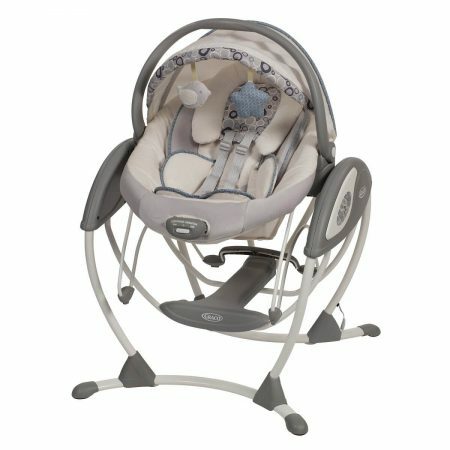 Above all else, the glider or rocker has to be comfortable to sit in for long periods of time (let’s be honest: maybe even sleep in). So look for a cushioned back and arms and a seat cushion supported by dense foam or springs. 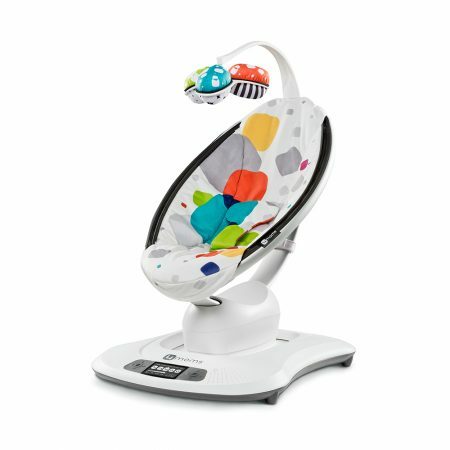 Whether you’re feeding or soothing baby, you’ll want some extra room to move around and get comfortable. This is especially true if you’re nursing, since you’ll probably try a variety of positions before settling on the one or two that feel best for you and baby. Again, this is all about your comfort. If you like a seat that leans back a bit — better for sneaking in a nap! — then look for a glider that reclines. Many gliders come with this helpful feature, which prevents the chair from moving when you don’t want it to. This really comes in handy when you’re hoisting your sleep-deprived self and a sleeping baby out of the seat. The best way to see if a glider or rocker will work for you and your partner is to sit in it. Does it give you both plenty of support? Is there enough room to wiggle around? Do your feet rest comfortably on the floor and on the ottoman? Does the fabric feel comfortable against your skin? Check how easily it reclines and locks (if you want those features) and whether the sliding motion feels as smooth as you want it to. Read over the warranty. Find out how long it’s for and what it covers. 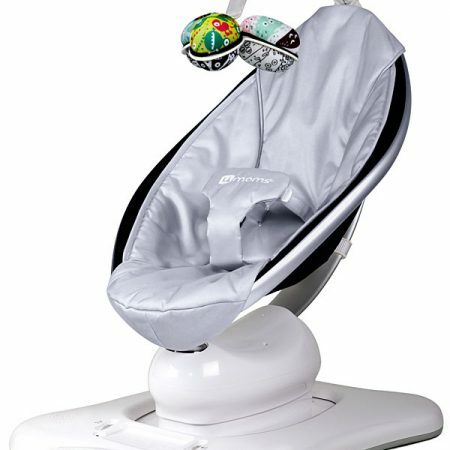 Finally, ask yourself how the chair will look in five or 10 years, when baby’s room is no longer a nursery. If you plan on keeping it around, would it look just as good in your living room or guest room?